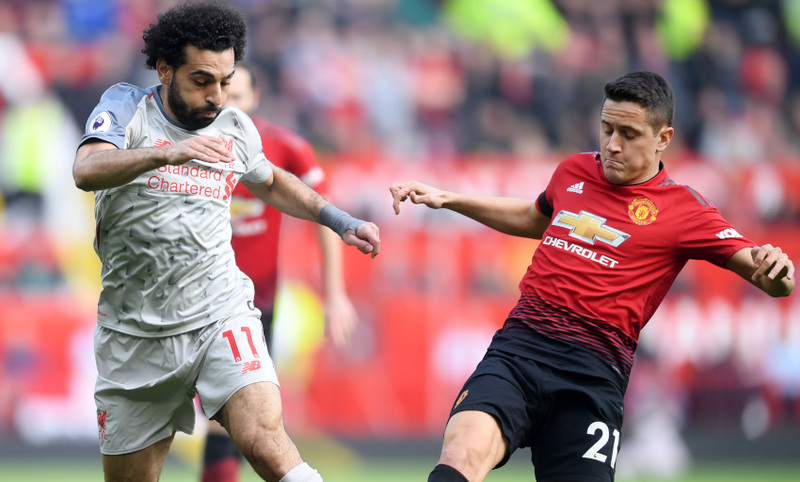 Liverpool moved one point clear at the top of the Premier League table as they played out a goalless draw with Manchester United at Old Trafford. The Reds go one point clear at the top of the Premier League table, level on the same number of games played at Manchester City. Two minutes of added time to be played. The ball flashes right across the Liverpool box, with Smalling not too far away from getting a touch. Shaqiri is shown yellow for a trip on Rashford. Young is booked for a trip on Milner. Last change for the Reds sees Origi come on for Salah. 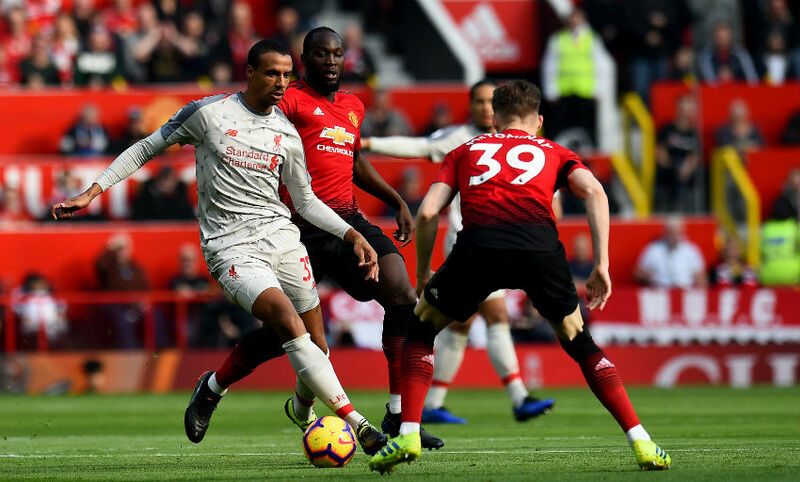 The ball is in the Liverpool net from a United free-kick following a deflection off Matip, but it's ruled out due to a raised flag for offside. Xherdan Shaqiri is on for Jordan Henderson. Wijnaldum heads just wide from a corner, with the ball deflecting against McTominay. 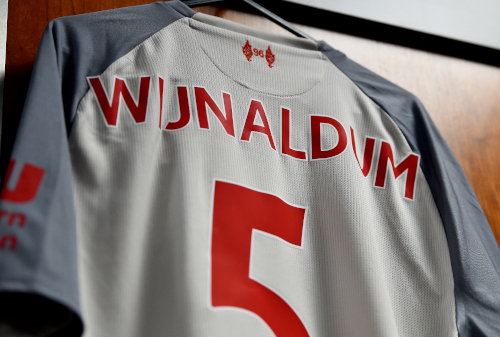 Wijnaldum dances away from three red shirts on the corner of the box before shooting high over the bar. Rashford prods wide after a cross into the area causes problems for the visitors. Pogba meets Young's free-kick with a close-range header, but fails to get any power behind it and Alisson claims. The midfielder is flagged offside, anyway. Mane's neat backheel almost frees Salah inside the area, but Shaw scoops the danger away. Liverpool re-start the game at Old Trafford. Fancy a flutter? Click here to view BetVictor's match page and place your bets. The first half comes to an end without a goal, though Liverpool have dominated the ball. United have lost three players to injury, while Roberto Firmino was forced off with a knock for the Reds. Lukaku nods Sanchez's cross down, but it doesn't have the power to beat Alisson. Matip meets a Milner corner with his head, but the ball flies high over the bar. United have to make another change due to injury. Substitute Lingard needs to go off, so Sanchez comes on to replace him. The hosts have had to use all three permitted substitutions in this first half. Brilliant goalkeeping from Alisson to deny Lingard, who attempted to round him after being played through by Lukaku. Pogba's goal-bound shot from the edge of the area is headed over the bar by Van Dijk. Here is that change. Firmino is off for Sturridge. 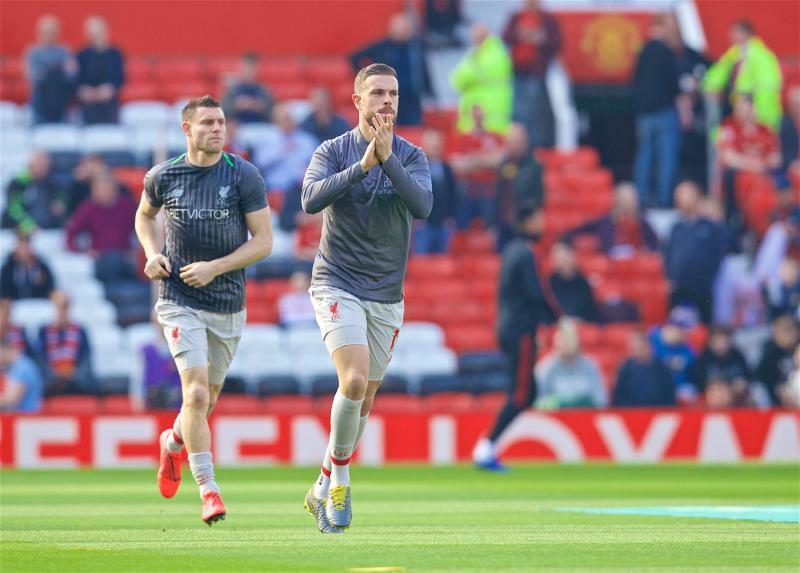 Could be Liverpool's turn to make an enforced change. 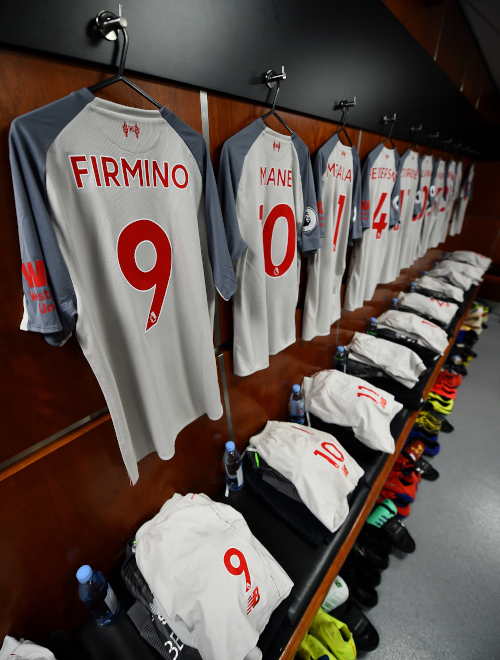 Firmino has a knock and Sturridge is being readied. United have to make another early sub as Mata can't carry on. Lingard comes on in his place. Milner sees yellow for a challenge on Pogba. United are forced into a change. Herrera has picked up a knock and can't continue. Pereira is his replacement. Robertson's low ball into the six-yard box is hacked away by Shaw. The Reds have started well. Salah takes it, but it sails high over the crossbar. Mane gets to the touchline and pulls it back in the direction of Wijnaldum, but United intercept. Salah dances into space inside the box, but his eventual cross deflects into the grasp of De gea. Rashford meets a ball over the top but loses his footing when he goes to shoot and the ball loops into the arms of Alisson from the edge of the area. 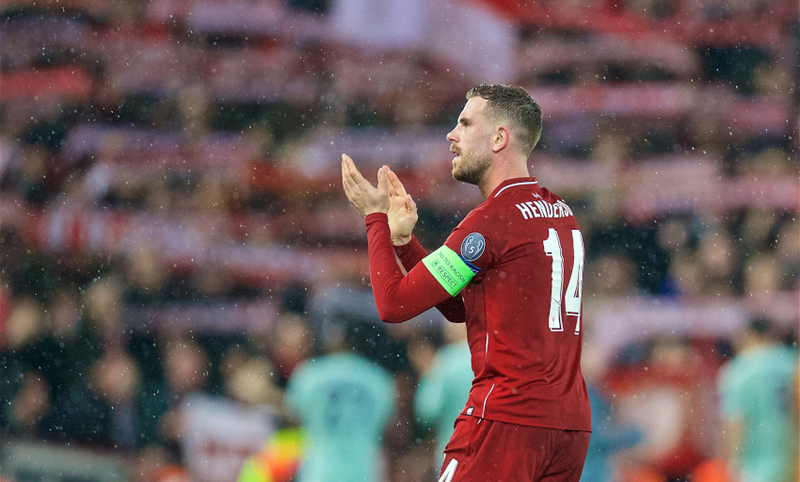 Henderson and Fabinho tee it up for Milner, but his shot cannons against the advancing United wall inside the box. Firmino almost intercepts Young's backpass to De Gea. The goalkeeper handles it and Liverpool have an in-direct free-kick inside the box. Here we go, then. United kick the game off at Old Trafford and we're finally under way. A minute’s applause is held ahead of kick-off in tribute to legendary United youth coach, Eric Harrison, who sadly passed away recently. 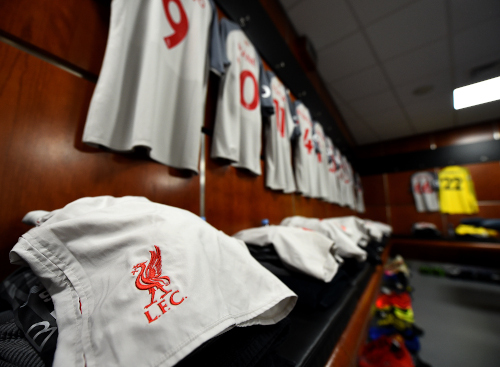 A peek inside the Liverpool dressing room at Old Trafford. "Just because Trent was out for a while, played the last game and we have two games coming up," he said. "I don't like to think too much about the games coming up usually, but it's pretty much the first moment in the season for while that we could make a decision with Millie and we will need Trent in the next weeks very much. "So I don't want to do it today and Wednesday, for example, which is a difficult task and we have Millie available, that helps as well, so all good." 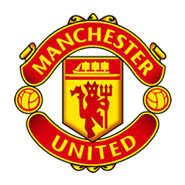 Manchester United: De Gea, Young, Smalling, Lindelof, Shaw, Herrera, McTominay, Pogba, Mata, Rashford, Lukaku. Substitutes: Romero, Fred, Sanchez, Lingard, Pereira, Bailly, Dalot. 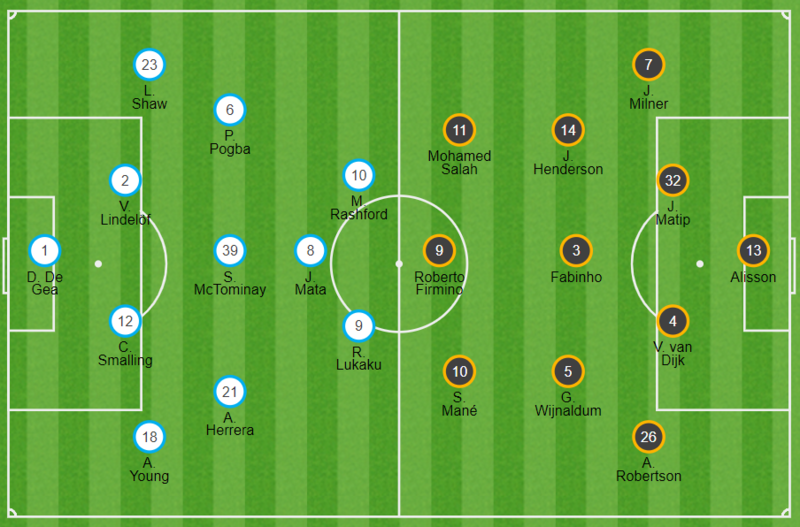 Two changes for Liverpool at Old Trafford - James Milner and Virgil van Dijk replace Trent Alexander-Arnold and Naby Keita in the starting line-up. Pre-match media duties are handled by the big man today. Or just generally interested in meteorology? Fear not, friends, your official Liverpoolfc.com Weather Update™ is here. Well, it's certainly turning into a glorious day, weather-wise - and most definitely, in the words of our very own Chris Shaw, 'a good day for it'. It's a bright and sunny day, with the temperature currently at 17 degrees. "Unseasonably warm," remarked club scribe Sam Williams earlier. It's expected to remain the same throughout today's game, although a touch of cloud may creep in before kick-off. Anyway, it's time to dig out your spring-wear if you're heading to the game. Hats, gloves and scarves not needed. That's the verdict of United goalkeeper, David De Gea. 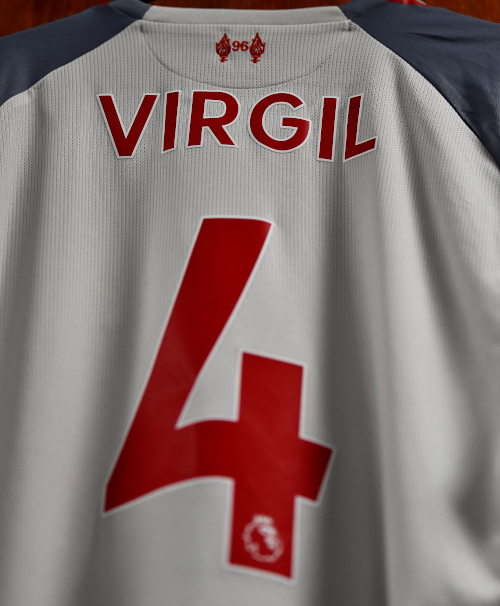 "I think it's the biggest game in England," he tells the matchday programme. "It's a very special game, for the fans, the club and the players, and above all when it's at Old Trafford it's always even more of an occasion. It's just a massive game. "Every game we play against Liverpool is a special one." As always, we'll be bringing you the most passionate LFC commentary around - with Steve Hunter and Phil Babb calling the action. Click here to tune in. Have you tried our Missing Men quiz yet? 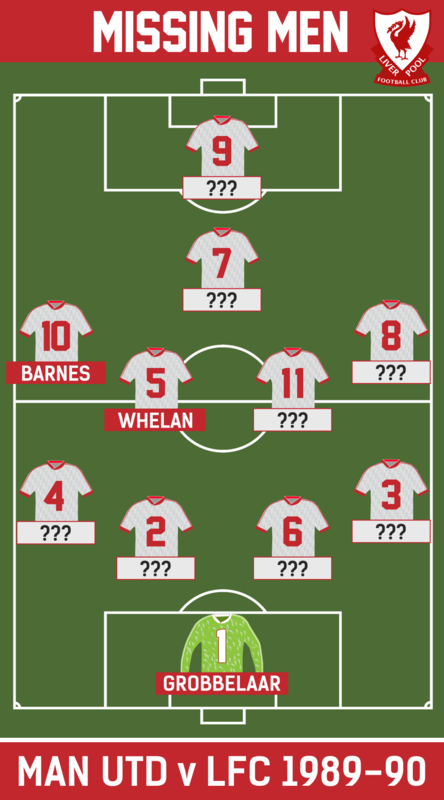 Can you name the full team from Liverpool's trip to Old Trafford in March 1990? No cheating... click here for the answers. 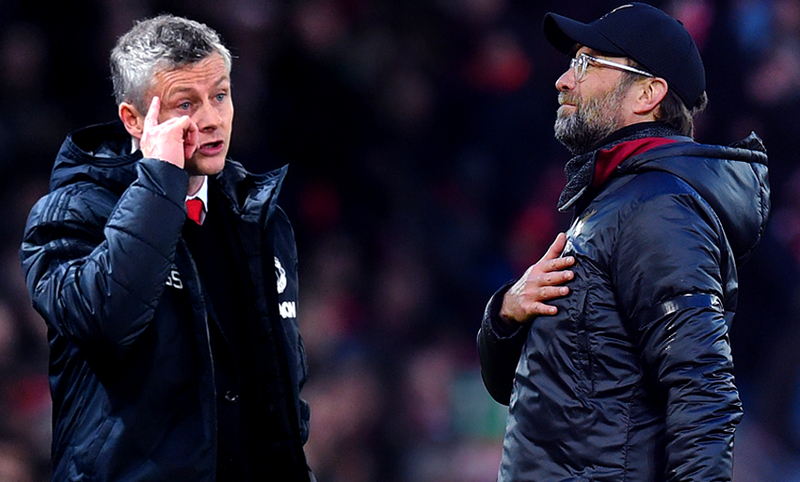 Writing in his column for today's matchday programme, Ole Gunnar Solskjaer says: "It is clear we're playing against a team that has improved since Jürgen first took over. He's been in England over three years now, you can see what he has been working on and he has improved them. "There's a really nice flavour about this game, and it has been that way going back to when I played and probably long before that. 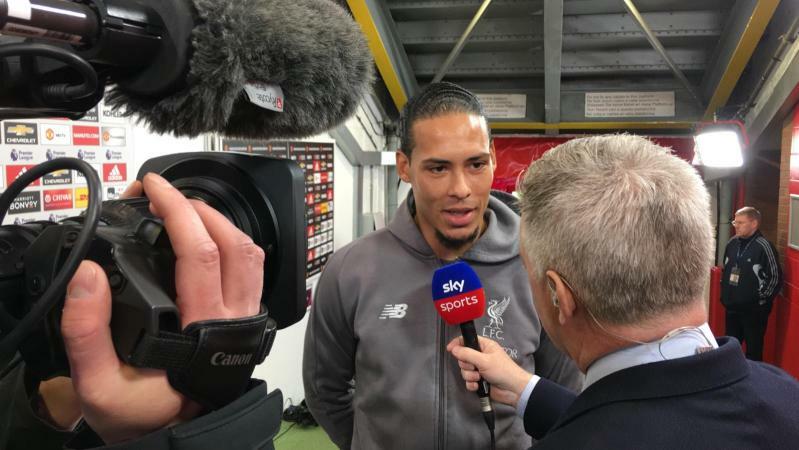 "For us, every game is a big one, no matter what, but against Liverpool it's a meeting between the two successful teams in England and hopefully the game today will reflect that." 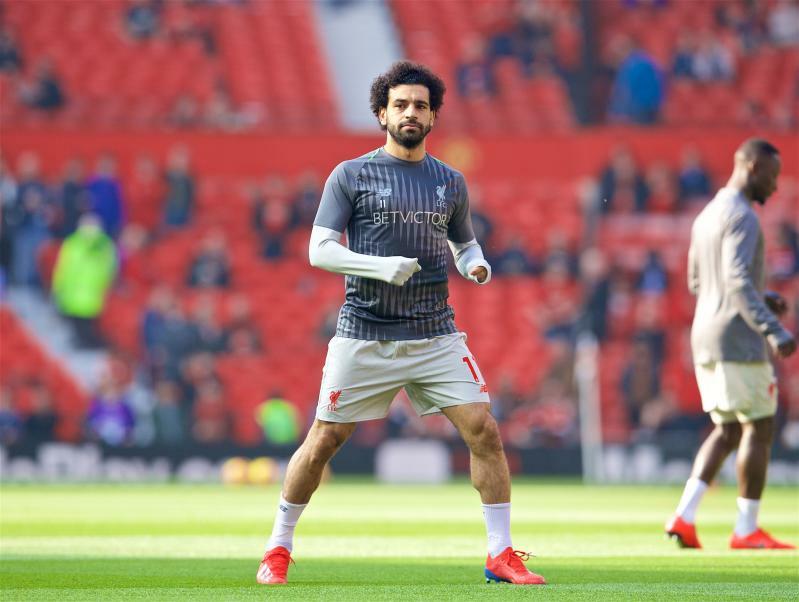 A strike today would see Mohamed Salah make Premier League history as the fastest player to score 50 goals for a single club, beating Alan Shearer's benchmark by three games and Fernando Torres' LFC record by nine. 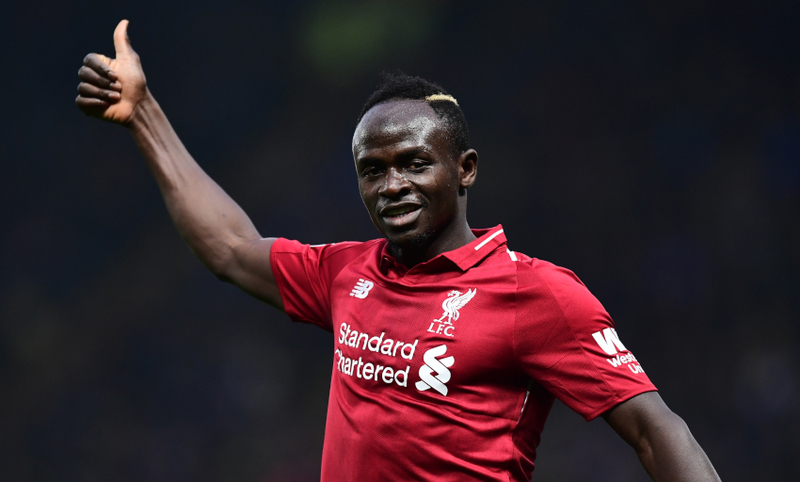 Sadio Mane previewed this clash with Liverpoolfc.com on Friday and explained why Liverpool will be respectful but confident when they run out at Old Trafford. "This game is like all other big games - we respect them, but I think we can also beat any team," said the No.10, who has scored in each of his last four Premier League matches. "It will be a tough game, but we can still win because we have already won so many tough games. It won't be easy, but we will go there to do everything to get a positive result." Where will this game be won and lost? 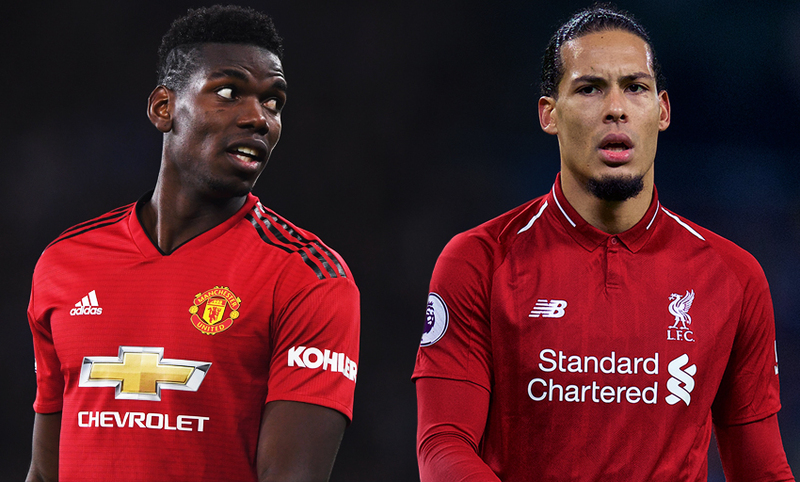 We've had a look at three individual battles that could have a big influence on the outcome in Manchester - click here to read more. 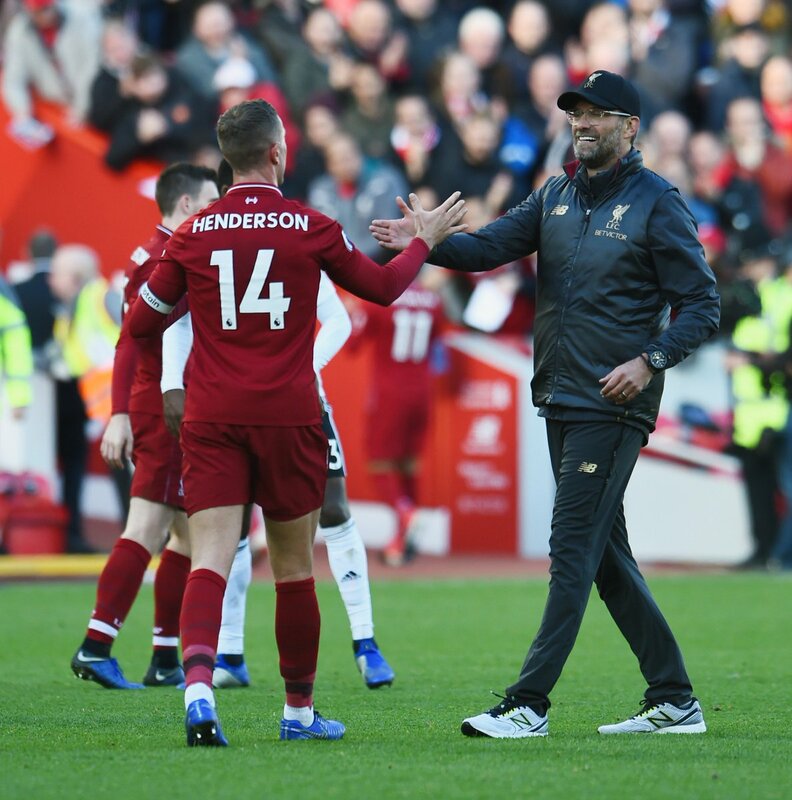 If Jordan Henderson features at Old Trafford, the Liverpool captain will reach two appearance landmarks simultaneously: 300 career Premier League games and 400 club matches in all competitions. 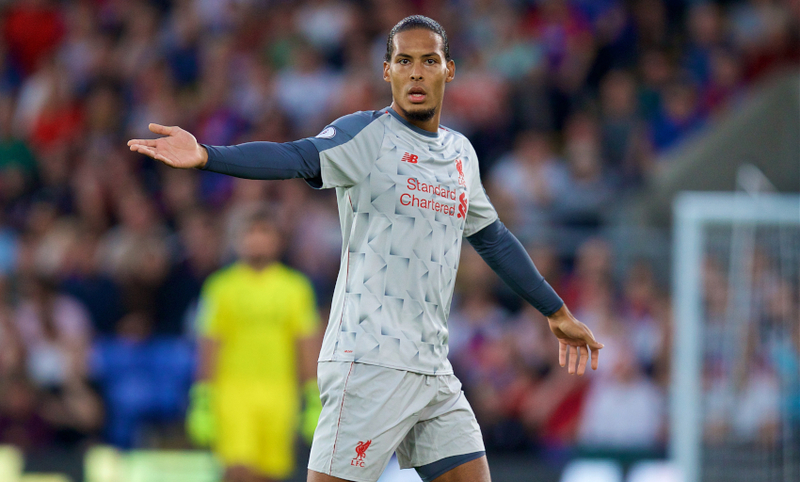 Liverpool will welcome back Virgil van Dijk after his suspension against Bayern Munich, but Dejan Lovren remains sidelined with a hamstring injury. 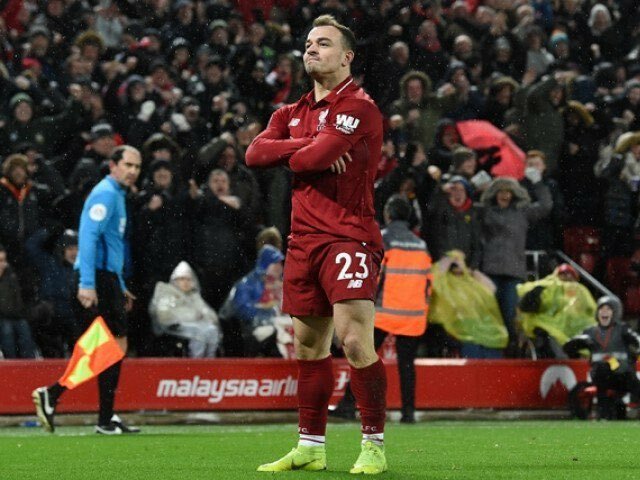 Xherdan Shaqiri, two-goal hero in the reverse fixture, is in improved condition having been hampered by a minor abdominal strain before Tuesday's Champions League tie. United, meanwhile, have been monitoring the chances of Jesse Lingard (hamstring) and Anthony Martial (groin), with Solskjaer speaking of 'hope' the pair could be available. 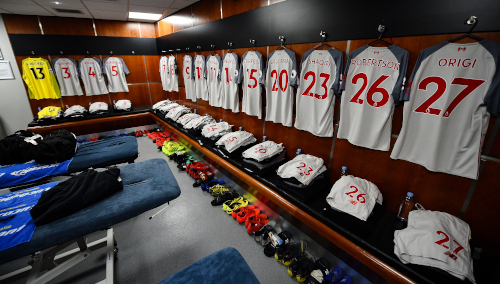 Confirmed teamsheets will land at 1.05pm GMT. Jürgen Klopp was asked how United have changed under Ole Gunnar Solskjaer in the two months since Liverpool inflicted a 3-1 defeat on them at Anfield. "We see the Pogba Man United signed a couple of years ago, Herrera is in outstanding shape, all the offensive players were all there and were all good before but now they are full of confidence and use all their potential, so that makes a big difference," said the Reds manager. "Sometimes it is how it is, you need some changes and in football it is very often the manager and it helps. It doesn't always help, but sometimes it helps, in this case obviously it has helped. "It is a different side, a different style, but still United and so they have all different ways in their toolbox to get results. They can still defend deep and all that stuff, they have to sometimes, and they play high pressure in different moments, so it's all there, that's good." Fans travelling to Old Trafford for the game are asked to note the following guidance from the matchday commander, chief inspector Collette Rose. There are no pubs in the area of the ground which cater for visiting supporters; however, Liverpool fans will be able to purchase alcoholic drinks inside the stadium when the turnstiles open at 12.05pm. There will be a limit of two alcoholic drinks, per person, per visit to the bars in the away section. 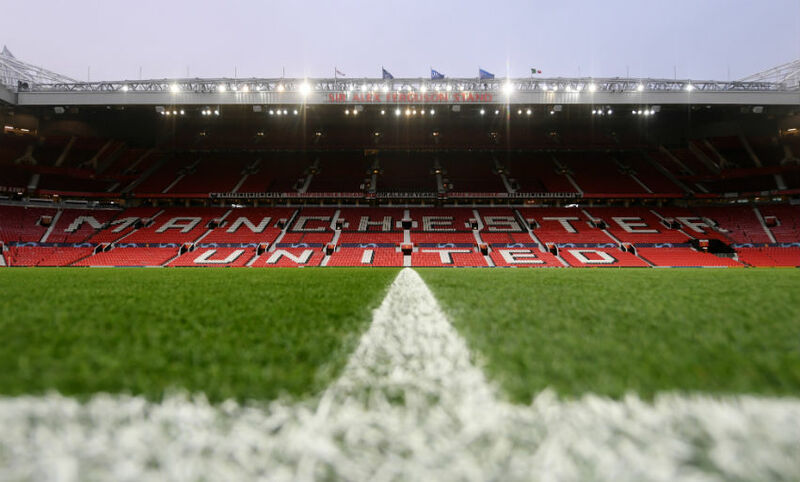 All drinks will be decanted in both the away section and in the adjacent home section in East Stand Lower on the Manchester United side of the segregation line. Supporters are reminded that pyrotechnics are dangerous and are not welcome by the majority of fans. It is an offence to enter a stadium with such an item and those engaging in this behaviour risk arrest, prosecution and a banning order. Supporters are reminded that MUFC policy is that supporters will not be allowed into the stadium with any flags or banners that exceed two x one metres in size. Racist or abusive chanting will not be tolerated and those persons identified as participating in such activity face the risk of arrest and prosecution. For the safety and security of all supporters, there is likely to be a holdback of Liverpool supporters at the end of the game. Supporters will be updated about this during the game by public address announcements in the stadium. We will minimise the duration of this as far as we can. During any holdback, the police will work closely with the stewards, and we will do our best to ensure that supporters can access toilet facilities. This will need to be done in a controlled manner to help regulate the numbers accessing the toilets at any one time. It is recommended that any Liverpool supporters who have arranged to meet friends outside the stadium, before entering, arrange to meet in the away coach park, E2 car park, that is located opposite the away entrance on the other side of the stadium forecourt. 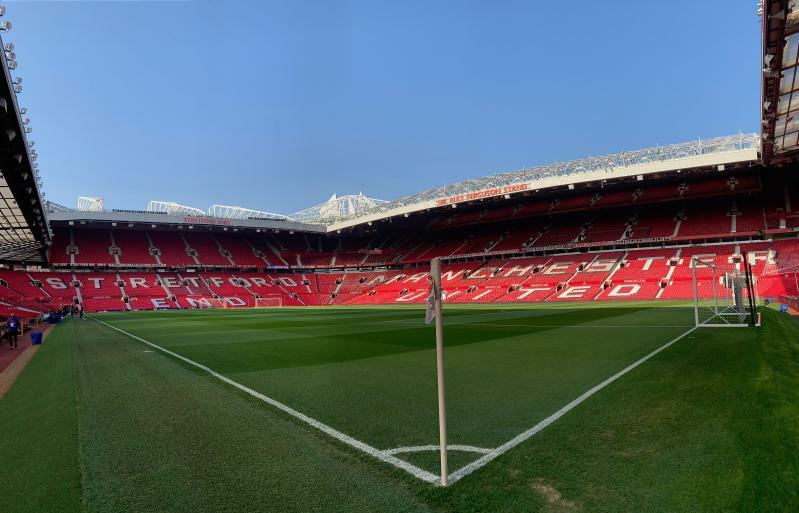 Fans should also be aware that there are roadworks in place around Old Trafford and are advised to leave plenty of time to travel and arrive at the stadium early. Here's something to whet your appetite - and calm your nerves, if needed. 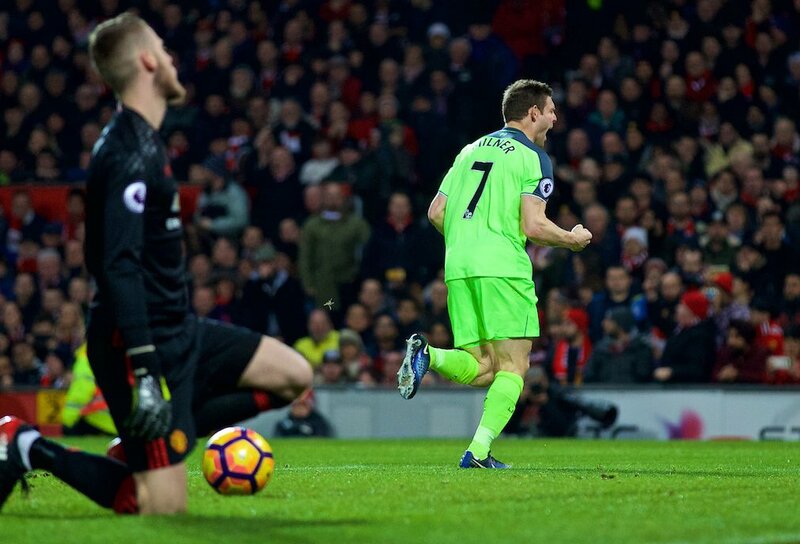 All of Liverpool's Premier League goals scored at Old Trafford in one clip below. Hard to pick a favourite, right? Liverpool will reclaim outright top spot in the Premier League with anything but a defeat today, with Manchester City otherwise engaged in the Carabao Cup final. 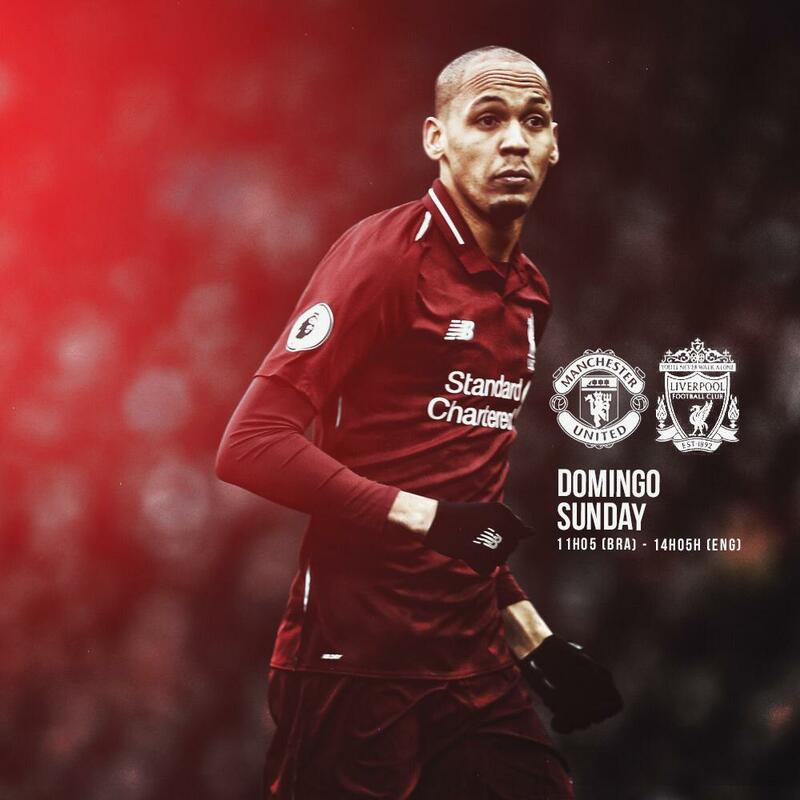 Tottenham Hotspur's loss at Burnley yesterday also means the Reds can increase their advantage over the Londoners with a positive result against United, who are fourth. We've got quite a game for you. 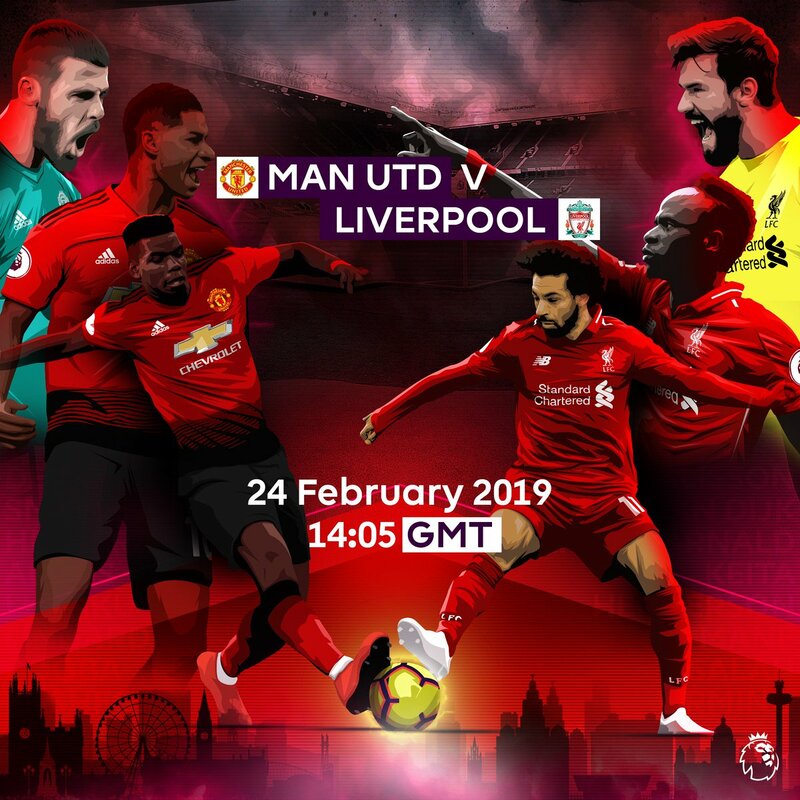 Manchester United v Liverpool. An eternal rivalry. The eyes of the world on Old Trafford. And you can follow everything that happens on a massive Sunday right here with us, including pictures, videos, stats, confirmed team news, updates during the game, post-match reaction and more.